Telltale Games (yes, the same ones that made The Walking Dead and Minecraft Story Mode, etc.) are bringing Jackbox Games The Jackbox Party Pack to retailers in physical form. The Jackbox Party Pack is already available for download digitally on most platforms (seriously, like all of them), and includes the games You Don’t Know Jack 2015, Fibbage XL, Drawful, Word Spud, and Lie Swatter. The physical copy retails for $29.99 USD, and will be available in physical form on PS4, PS3, Xbox One and Xbox 360. Another bonus to this Jackbox series is the inclusion of basically anyone with a internet connected device. One person can start a game, and then everyone else can join in via web-browser using the unique in-game “code” that allows you to join that group. It means that when you’re having a party at your house, you can get everyone into the game, even if you only have a few controllers. It’s good to be able to use your phone to get into the game, because then it leaves people with no excuse not to get into the fun. Look for The Jackbox Party Pack at your local retailers today, or you can always grab it digitally on your preferred platform. 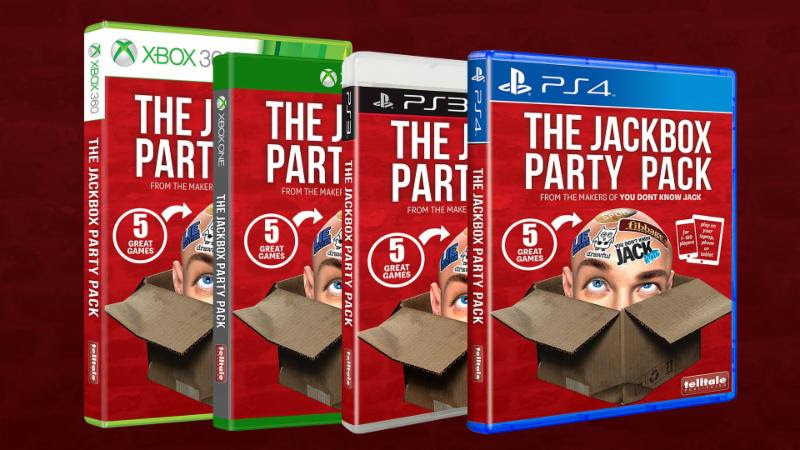 For more info on the Party Pack, check out Jackbox Games website. Ep 43 – Game Sales & How Do They Make Money? The Peanuts Movie: Snoopy’s Grand Adventure Out Now!